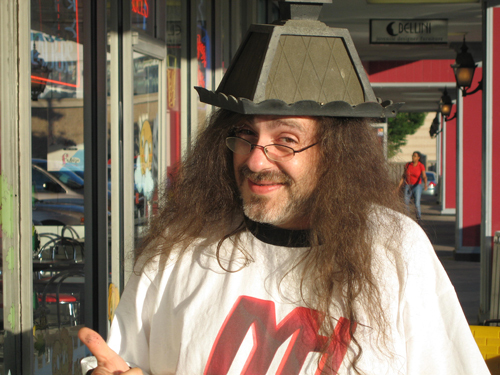 The Flea sporting his new hat...he found in an alley. 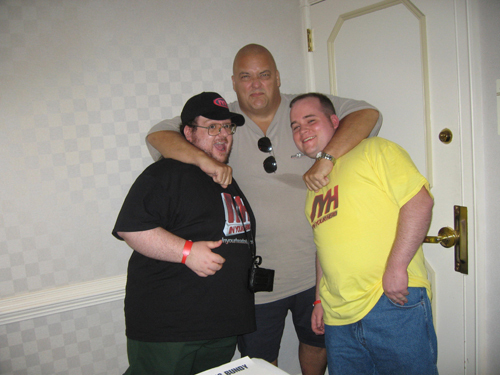 King Kong Bundy ready to pop Jack's and OIB's heads clean off their torsos. Jack and Incher run into Stan Lane during the Fanfest, if you look closely you can see a fan checking out Stan's woman. OIB and Jack pose for a picture with their fans, once again making someone's day a little brighter. 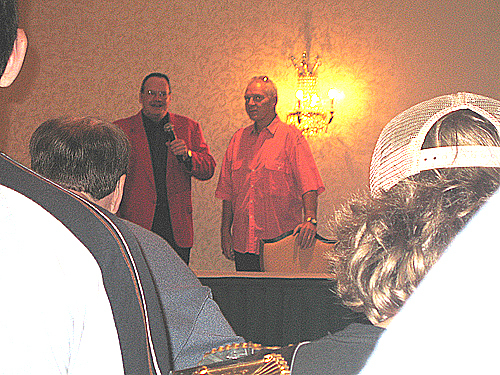 Bobby Heenan and Jimk Cornette conduct the opening ceremonies for all the VIP's attending the 2006 Capitol Legends Fanfest. OIB starts to have second thoughts as the Flea and Jack try to intimidate the Incher. 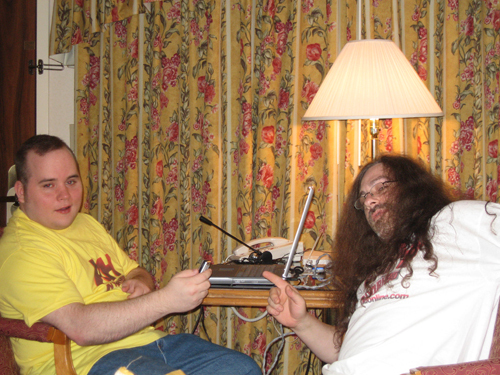 OIB and Jack discuss their game plans back in the IYH war room, the night before the big day. 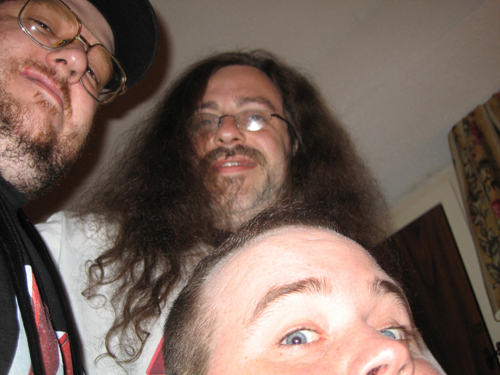 The OIB sits down with The Flea in the IYH Suite. OIB, Jack and the Flea in a special live show from The Capitol Legends Fanfest in Rockville, Maryland. For the first time ever OIB and Jack broadcasted the show from the same location, the beautiful Double Tree Hotel in the IYH Suite. We went over the entire weekend from meeting at the airport to all the events of the big weekend. We had many interviews through out the show with Larry Z, Percy Pringle, Lexie Fyfe, Greg Valentine, Stan Lee, Lanny Poffo, Chris Cruise, Stevie Ray, Boris Zukoff, Dr. Tom Prichard and more. We closed the show with some stories from the fans in attendance during the event. We were joined by OVW Athletic Trainer Eric Langley. 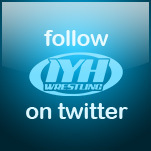 He went over OVW, Tough Enough, Matt Morgan, Jim Cornette, Paul Heyman, Dinsmore as Eugene, CM Punk, what WWE looks for in a wrestler and more!!! 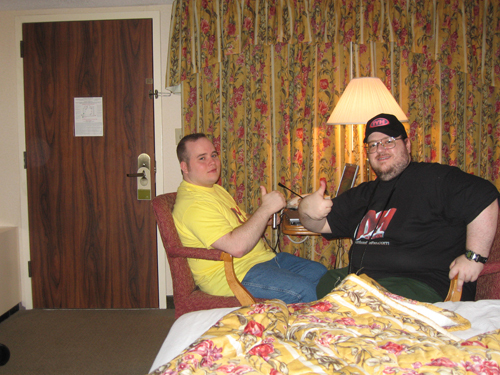 Jack and OneInchBiceps review the Best of MXPW Volume 1 DVD. Which includes such stars as Dusty Rhodes, Barry Windham, Norman Smiley, AJ Styles, Christopher Daniels, New Jack, The Warlord, Hack Meyers, The Black Market and so many more!! Including commentary with Kevin Kelley, Don Callous, Vito Denucci, D'Lo Brown and more!! Please visit http://www.mxpw.net to order yours today for only $12!! 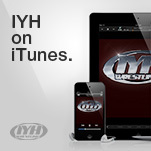 And join us this week for live trivia to win a free copy! !